Microsoft’s latest layer update to its Virtual Earth product includes two new 3D cities – Toulouse, France and Montreal, Canada. Toulouse is impressive as its a departure from the usual US city structure, illustrating how well Microsoft’s technology copes with tight medieval streetscapes. An admittedly slightly eclectic choice of music – Morning Fantasy by Martin Gallaher. 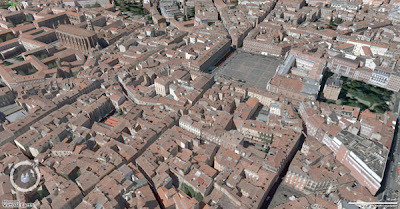 heres a quick panorama i made from toulouse, france via Virtual Earth. This is similar to the google earth panos posted sometime ago. Thanks for the comment – it prompted us to update our Google Earth panorama tutorial for Virtual Earth..